When it comes to the children's shows that have entertained children for decades with their imaginative tales and adventures, there are a few that immediately come to my mind. After all, some of the characters that I knew and loved as a child are ones that my girls are still watching today and that always strikes me as such a testament to the thought and ideas that went into making such a popular and long-running show! One name that comes to mind as a part of that list and has always been universally-loved by boys and girls of all ages is surely Thomas & Friends, proved once again with their release of Thomas & Friends: Day of the Diesels. Created by a father for his son over 65 years ago, today Thomas the Tank Engine is enjoyed by families in more than 185 territories and in 30 languages. The #1 blue engine and his friends invite children to enter a world of imagination through the tracks of a train and the words of a story and they are able to embark on adventures with their engine friends while experiencing timeless life lessons of discovery, friendship and cooperation. 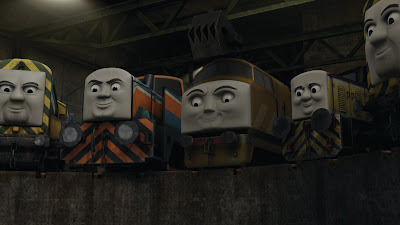 In this all-new, CG-animated adventure, the diesels are back in Thomas' biggest movie event of the year. 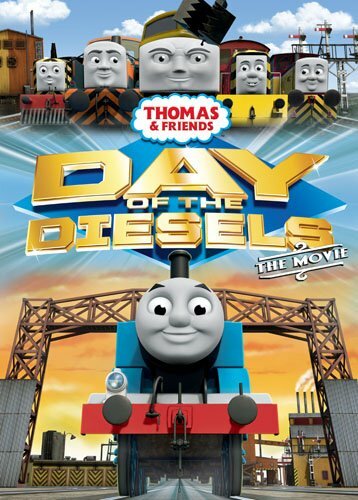 Thomas and Friends: Day of the Diesels is available today, September 6, 2011, on DVD, Blu-Ray/DVD Combo Pack, Digital Download and On Demand from Lionsgate and HIT Entertainment and is sure to have young fans cheering for more. 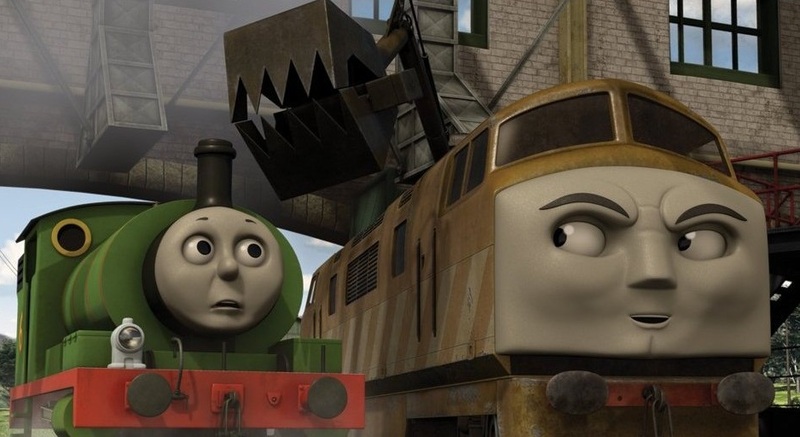 The Steamies and the Diesels face off in this action-packed movie adventure when there's a fire on Sodor and two new firefighting engines – Flynn and Belle – arrive to help Thomas and Percy save the day. 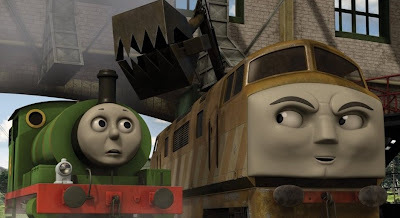 When Thomas starts spending all of his time with Sodor's newest heroes, Percy is drawn to the Dieselworks, where he is made to feel special by the master of mischief himself, Diesel 10... but Percy doesn’t know that he is part of Diesel 10’s master plan to take over the Steamworks. The Steam Team rallies for sure-fire excitement in this all-new movie from Thomas & Friends and there will be over 75 Day of the Diesels-themed products launching at retail stores to coincide. These will include toys, books, apps and more, making it the biggest event for the #1 preschool DVD & toy brand, and Thomas & Friends: Day of the Diesels a must-own for Thomas fans everywhere. 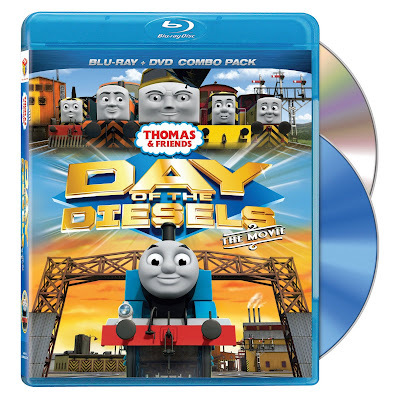 Retailing for $24.99 for the Blu-Ray/DVD Combo pack and $19.98 for the DVD, Thomas & Friends: Day of the Diesels is available today and is sure to be an instant favorite for any child that loves Thomas. After 65 years, this is one train that just can't go wrong! One lucky person will win a copy of Thomas & Friends: Day of the Diesels on DVD! To enter to win: Tell me who would be the lucky recipient of this DVD if you win. Giveaway will end on September 27th at 11:59pm CST. Do me the favor of leaving an email address or making absolutely sure it is visible in your profile, I have to have a way to contact the winner. The winner will be chosen by random.org and announced here as well as emailed and will have 48 hours to contact me or respond to notification or a new winner will be chosen. This giveaway is open to U.S. residents only. A big thank you to Lionsgate and HIT Entertainment for providing a copy of Thomas & Friends: Day of the Diesels for me to review as well as for one lucky giveaway winner. The opinions shared are my own and honest and if you really need to see more, click here to see how I roll. my 2.5 year old son is a BIG Thomas fan - he'd love this DVD. thanks! My son. He would be so excited! My son Laken would be the recipient! He LOVES Thomas! My daughter loves trains and I think she would really enjoy this! This would be for my 2 year old who loves Thomas! My 2 year old Derek would love this DVD. Absolutely would give this DVD to my son who shares his middle name with Thomas, and has loved him since he could talk. At four he is now quite an expert at all things train, and would love it! I entered the feel and find giveaway. My 3 year old LOVES Thomas! My 2 yr old son would love this! thanks! my little boy, Fisher, would love this! I would love to win this for my nephew. Thank you! I think my 3 year old would like this, we could use a new Thomas DVD! My mom's friend's daughter for Christmas!